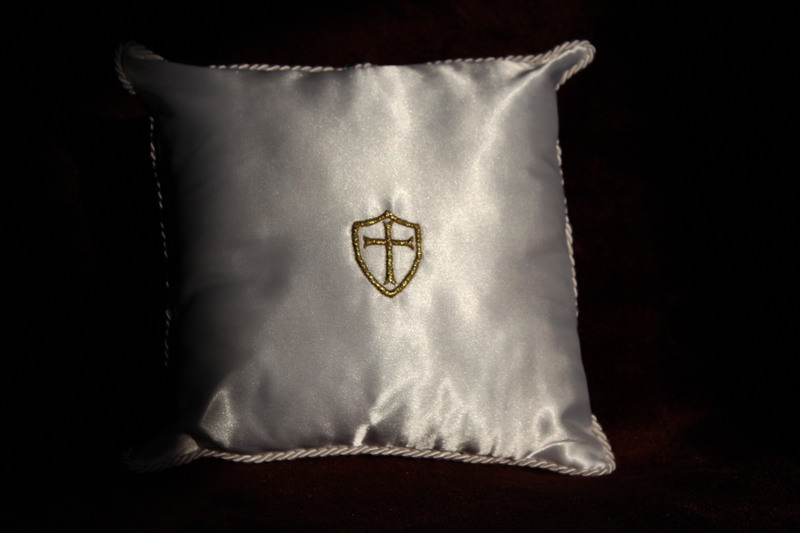 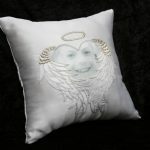 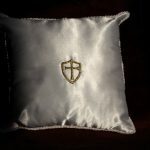 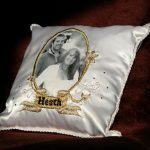 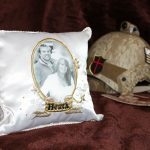 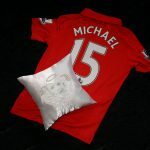 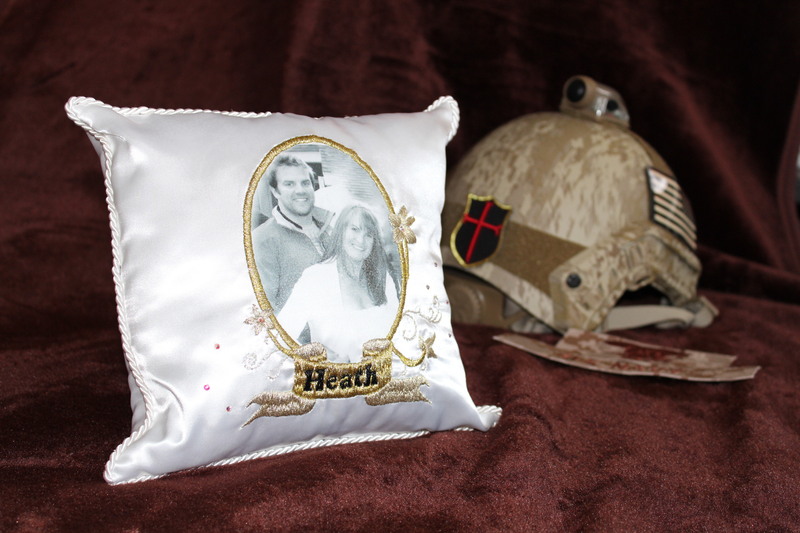 These individual silk and satin cushions are made in honour of loved ones who have sadly passed. 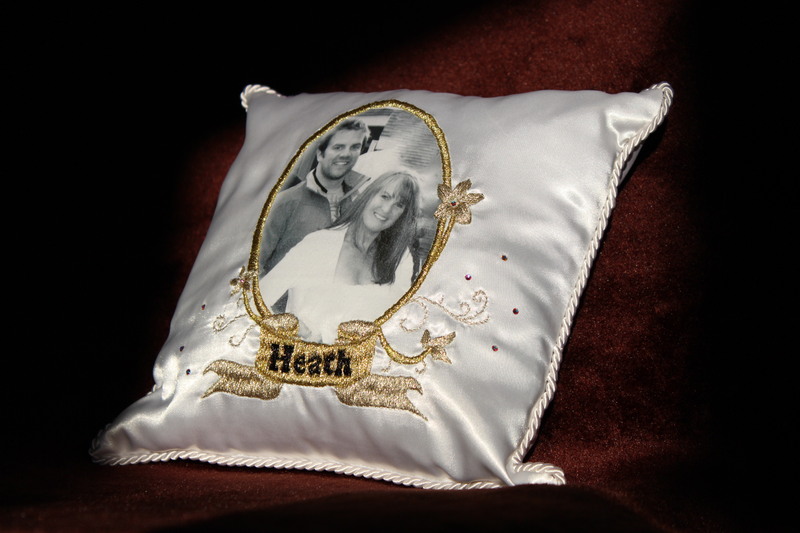 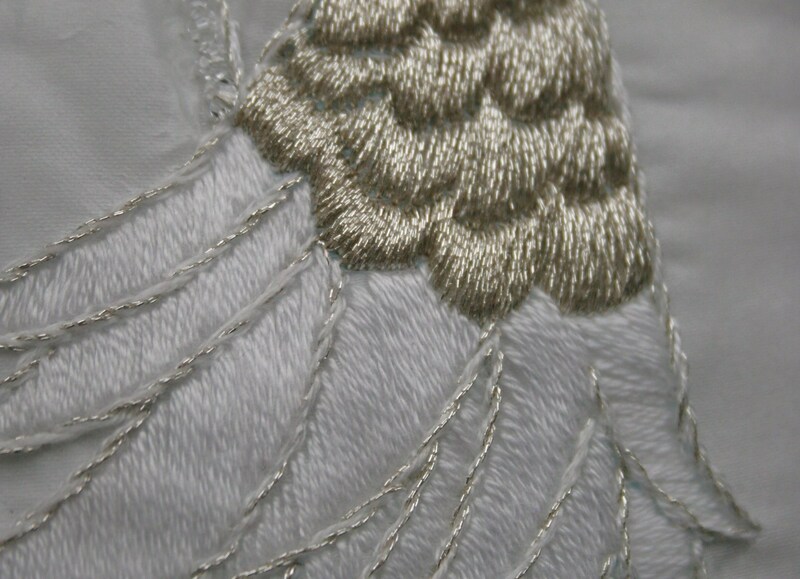 A hand embroidered silk design, around a washable photographic image makes such a precious gift. 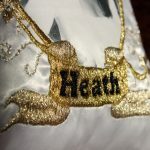 "My beautiful Elsa dress was amazing because we went to a party and won first prize for the best 'Frozen' family. 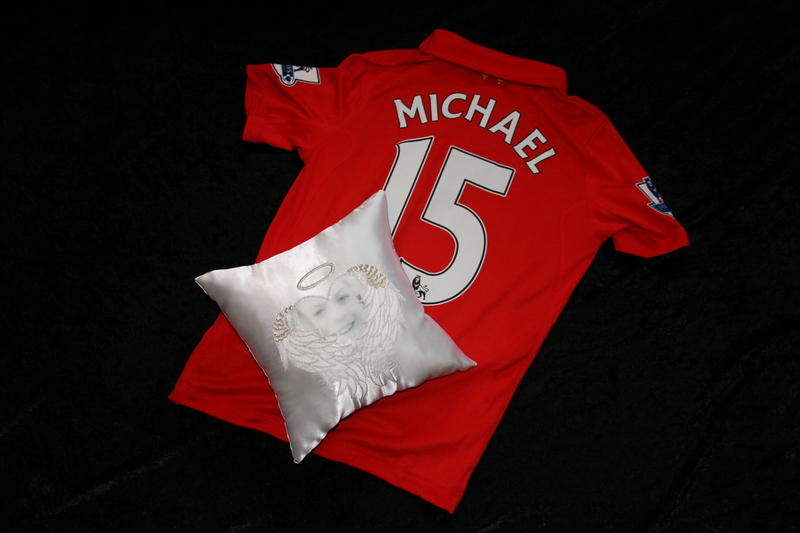 Thank you Sarah"
"I'd like to say a BIG thank you to Sarah Elizabeth Creations for my Arsenal FC shirt-lined jacket. 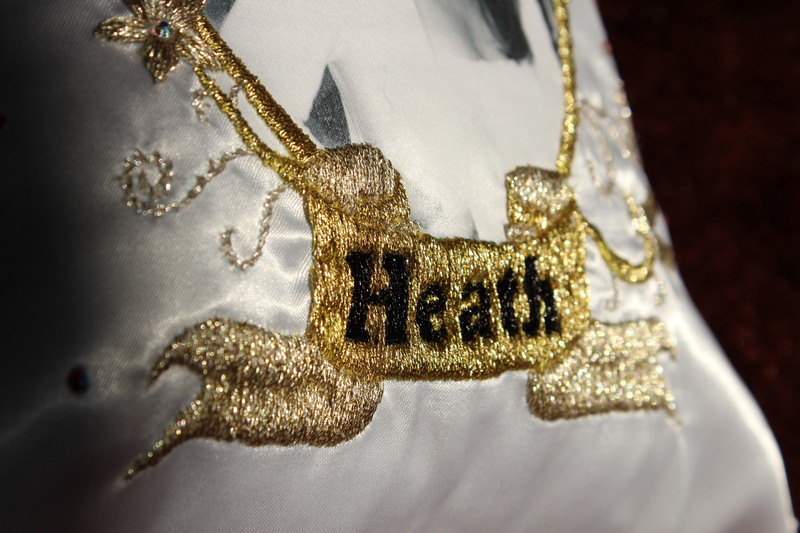 After seeing the picture of Arsenal legend Ian Wright wearing his, I just HAD to have one. 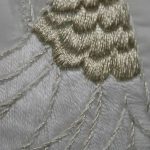 Loads of my friends have seen it and commented on how unique it is and just how cool it looks... 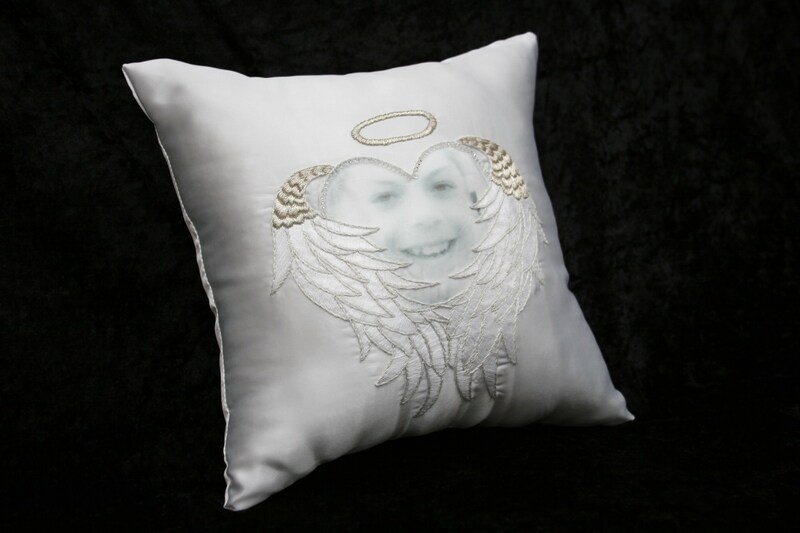 Thanks Sarah."